A House bill seeks to make the Solicitor General in charge of the PCGG, tasked with recovering the Marcoses’ ill-gotten wealth. Solicitor General Jose Calida supported the vice-presidential bid of Ferdinand Marcos Jr.
President Rodrigo Duterte’s allies in the House of Representatives just filed a bill that would put the Solicitor General in charge of recovering the ill-gotten wealth of the Marcos family. If their bill is signed into law, it would be interesting how it would be implemented under the Duterte administration given the current Solicitor General’s leanings. Solicitor General Jose Calida is a true blue Marcos loyalist. During the 2016 campaign season, he was even among the leaders of the Alyansang Duterte-Bongbong which campaigned for the tandem of Rodrigo Duterte and Ferdinand Marcos Jr.
Calida was interviewed by this reporter during then-presidential candidate Duterte’s sortie in Ilocos Norte. It was during that same sortie when Duterte promised a hero’s burial for the late dictator Ferdinand Marcos, a promise he kept. Calida’s dream team, however, was not to be. Marcos Jr or “Bongbong,” the only son of the late strongman, was narrowly defeated in the vice presidential race by the Liberal Party’s Leni Robredo. 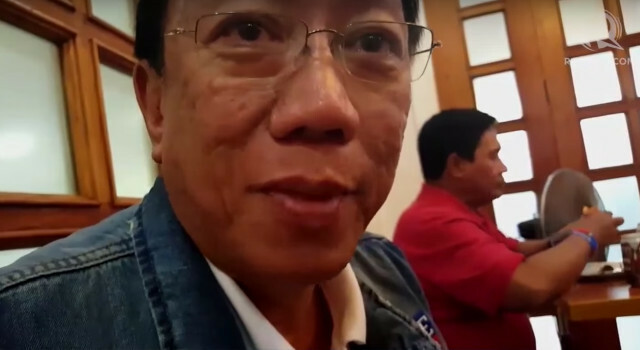 A group within Duterte’s circle, however, continues to prefer Marcos as vice president. 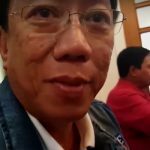 In an interview with reporters on Wednesday, March 29, Calida gave assurances his leanings back during the campaign season will not affect his work as Solicitor General. “I’m now a government official. The elections before has no more bearing [on] my duty as a government official. It doesn’t matter to me,” he said. House Bill Number 5233, filed by Speaker Pantaleon Alvarez, Majority Leader Rodolfo Fariñas, and House justice committee chairperson Reynaldo Umali, seeks to place the Presidential Commission on Good Government (PCGG) under the Office of the Solicitor General.